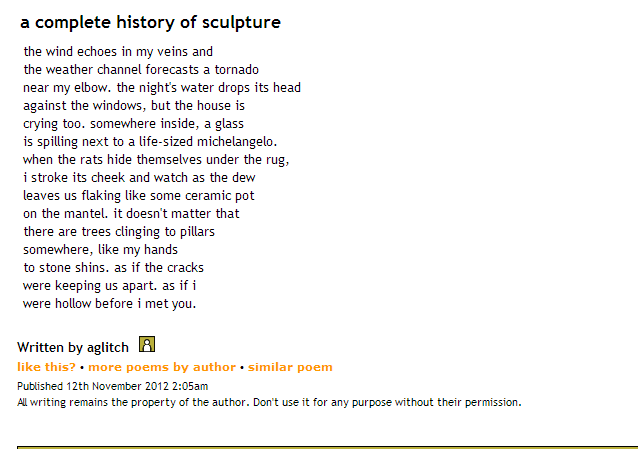 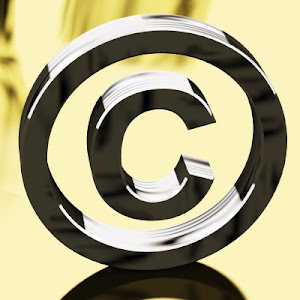 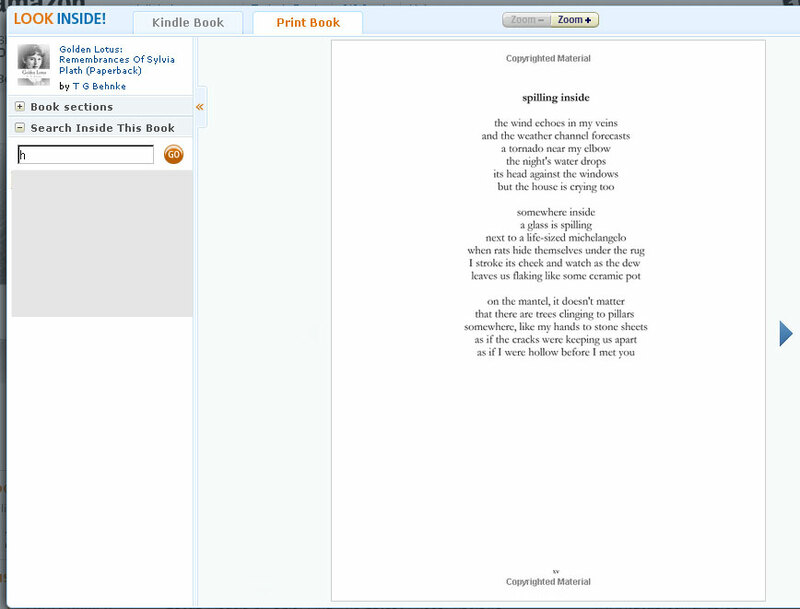 Blogging about plagiarism, copyright infringement and other issues of interest to poets. 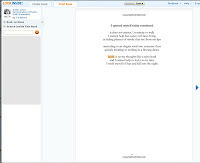 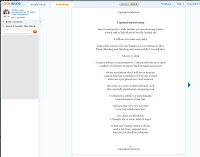 Ms. Behnke published a book on Createspace and Amazon on December 14, 2012, called "Golden Lotus: Remembrances of Sylvia Plath". 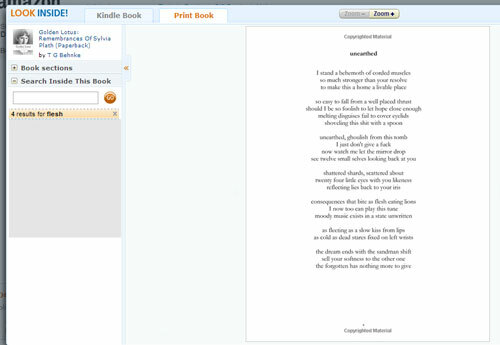 The Amazon page currently shows the book as out of print. 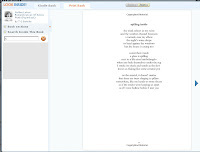 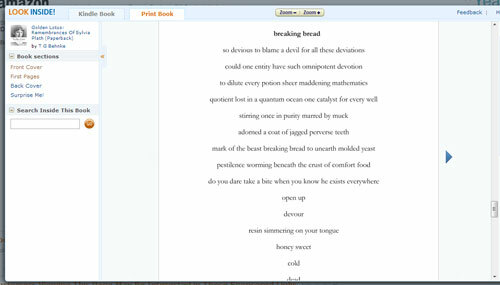 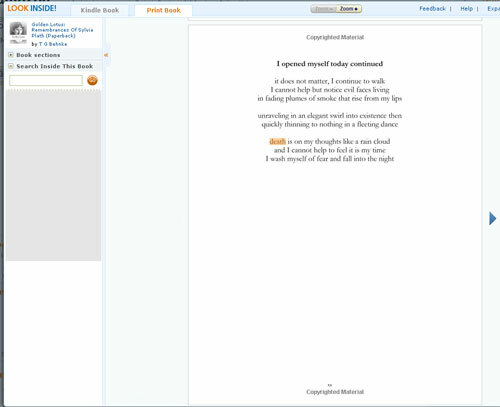 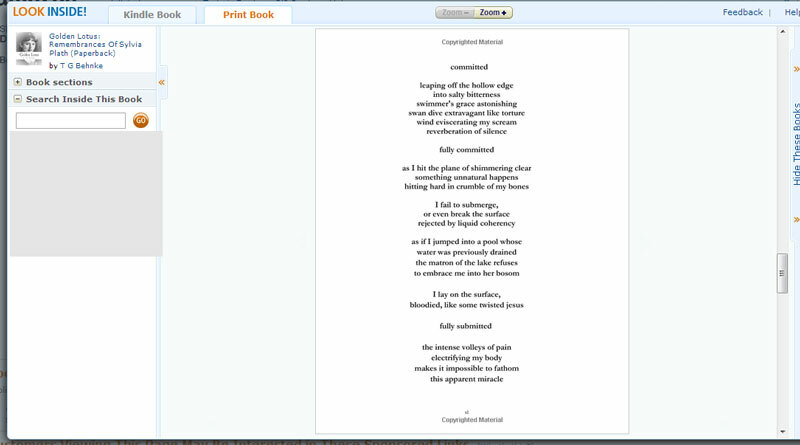 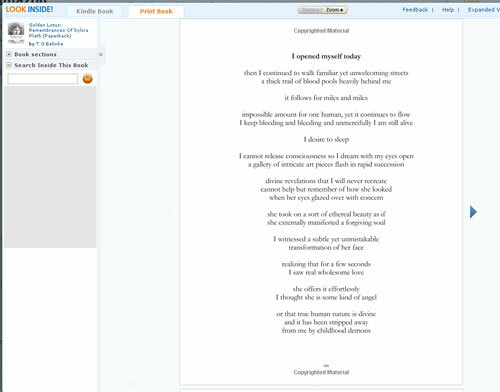 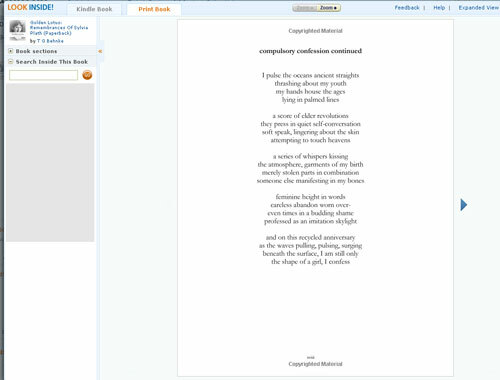 A number of the poems in the book appear to have been copied from other sources. 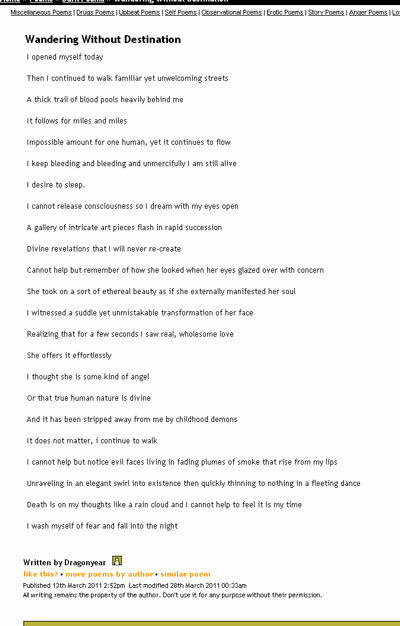 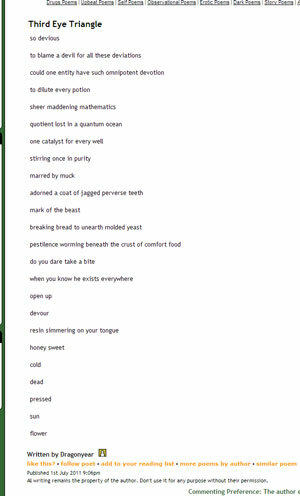 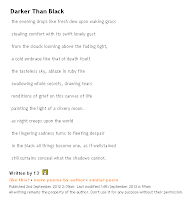 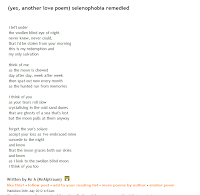 "this shell just a host / controlled by a distant alien / playing a wicked game" -- "Quarter Inch Reveal"
"ink regime": The opening lines of this poem appear to rely heavily on a poem called "Darker Than Black" posted by 13, at Deep Underground Poetry, on September 2, 2012. 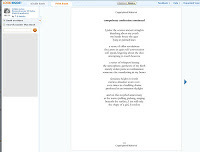 "the evening drops like fresh dew upon waking grass / stealing comfort with its swift lonely gust / from the clouds looming above the fading light," -- "Darker Than Black"
"the evening drops like acid dew upon broken glass / stealing comfort with its swift eviscerating gust / clouds looming above like salivating buzzards" -- "ink regime"
"...as if wellstained / still curtains conceal what the shadows cannot." 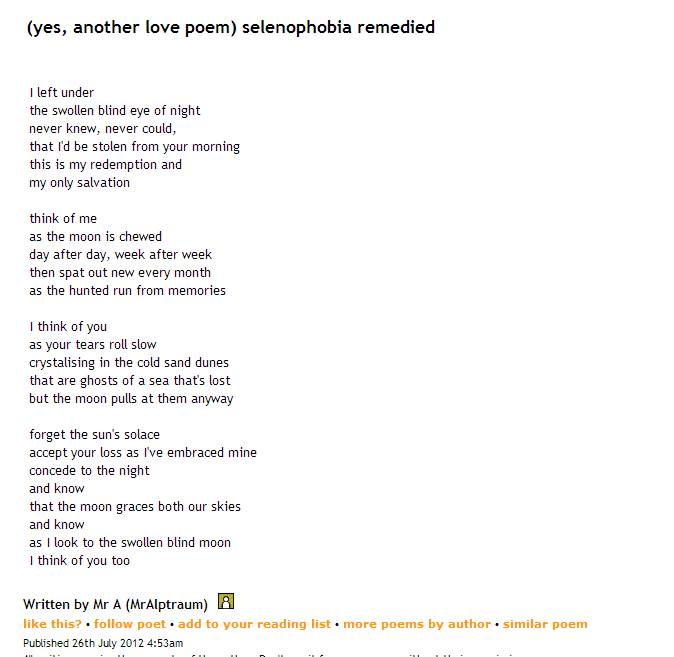 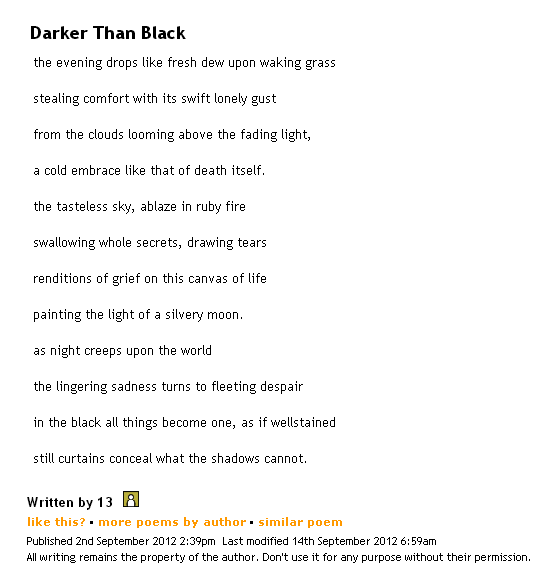 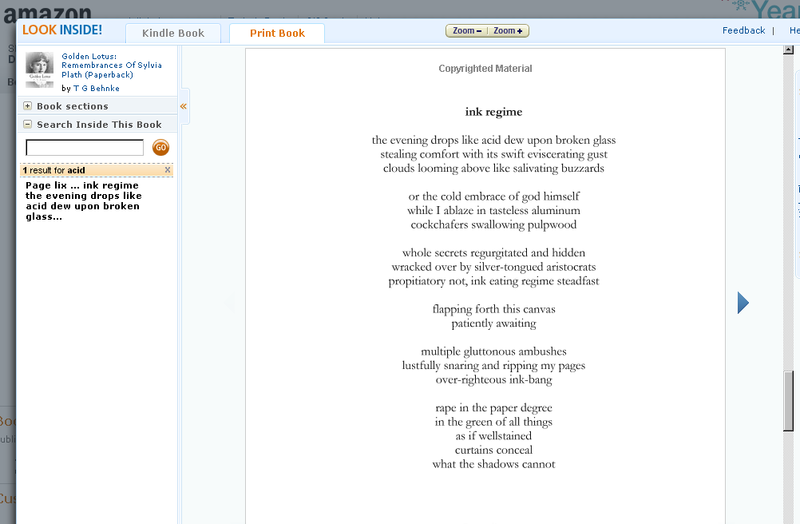 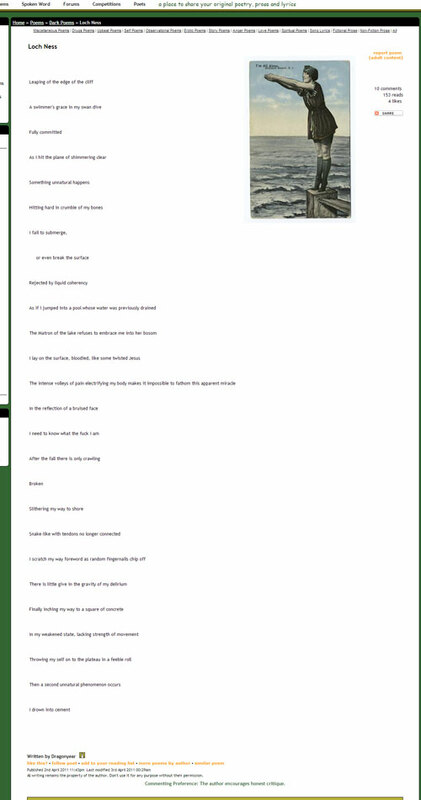 -- "Darker than Black"
"...as if wellstained / curtains conceal / what the shadows cannot" -- "ink regime"
The beginning and the ending similarities are close enough that I've added this poem to the list in the original post about Ms. Behnke. 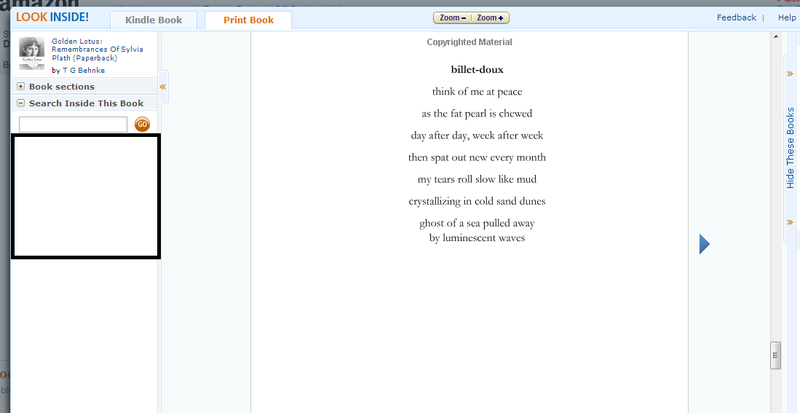 "think of me at peace / as the fat pearl is chewed / day after day, week after week / then spat out new every month / my tears roll slow like mud / crystallizing in cold sand dunes / ghost of a sea pulled away / by luminescent waves" -- "billet-doux"